No matter how many tests and quality checks manufacturers do, there is always a chance of a bad product reaching the market. It could have been made wrong, be contaminated with bacteria such as salmonella or listeria, or have a defect. These issues can force a company to recall their items. As of Sept. 23, the U.S. Food and Drug Administration had issued recalls for 304 products for a variety of reasons in 2015. Not all of these have had serious results, but recalls can be detrimental to business. However, by using track and trace technology, manufacturers may be able to stop harmful or defective products from reaching consumers. What is track and trace technology? Manufacturers globally source raw materials from a variety of locations. However, once the items are combined in the products, people may find it hard to track where the ingredients came from. In the past, these processes would need to be tracked manually, which could lead to problems across the supply chain if the manufacturer was unsure where certain materials came from. 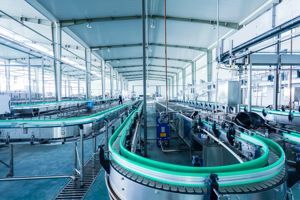 Track and trace technology automates this part of the workflow to reduce or eliminate errors, Food Manufacturing contributor Jack Payne explained. Employees scan barcodes and the software collects and stores data to create an information trail should any problems arise, and to ensure the products are top quality. The system should be integrated into the workflow to allow for real-time visibility throughout production, which will help manufacturers make informed decisions with relevant information. How does trace and track prevent recalls? Recalls can be detrimental to any business no matter what the issue is or who it affects. Having to make these announcements admits to consumers that companies have made a potentially risky mistake, which can harm the group's loyalty. However, with trace and track technology, manufacturers can discover the problems before they reach the public. The program calls for quality checks throughout the production line and alerts managers to any hazards when they occur rather than after the fact, Payne said in an article for Supply & Demand Chain Executive. This allows the problem to be dealt with immediately and can save businesses time and money in the long run. The technology also ensures customers are receiving the correct products, which could help with loss prevention and increase revenue. In the event that a recall needs to be issued, track and trace technology allows distributors to determine where the affected products are, Payne explained. With this program, people will be able to tell which items contain the contaminated ingredients or defective parts, find out where they were distributed and then alert owners or storekeepers in those areas of the problem. Instead of recalling all products, which could hurt companies' bottom lines, manufacturers can reclaim only the affected items. Visibility throughout the supply chain ensures that consumers are receiving safe and accurate products. Without the proper tools in the factory, this goal could be difficult to achieve. However, with track and trace technology, manufacturers can ensure the quality and accuracy of consumer products.